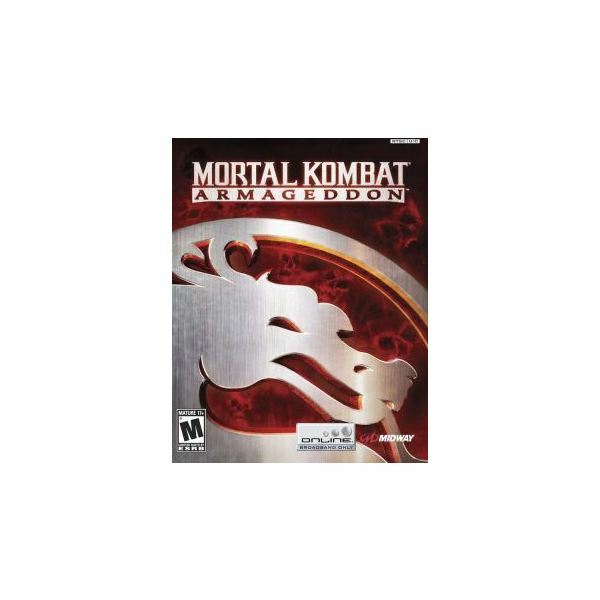 Mortal Kombat: Armageddon is out on PS2, Xbox, and Wii. It was the last release from the series for the PS2 and the Xbox, and the first that was put on Wii. It is a fighting, game much like the retro gaming ones of Street Fighter and Double Dragon. There are plenty of different characters that you can be, and even more that you can unlock to play. There's plenty of depth to Mortal Kombat – not just in the game itself, but in the series as a whole. In the game, you have the wide array of combos to pull off to beat down your opponent. Then, when they're almost dead, you have all the options for fatalities, friendships, abilities, and other ridiculous finishing moves at your disposal. Turn Liu Kang into a dragon or punch a man's skeleton out of their body. Give them flowers to end them, or turn them into a baby. All this and more is possible. On the other hand, the game series itself has long been controversial. Did you know that it was the deciding factor in founding the ESRB, which to this day assigns ratings to every game put into market? It's true! 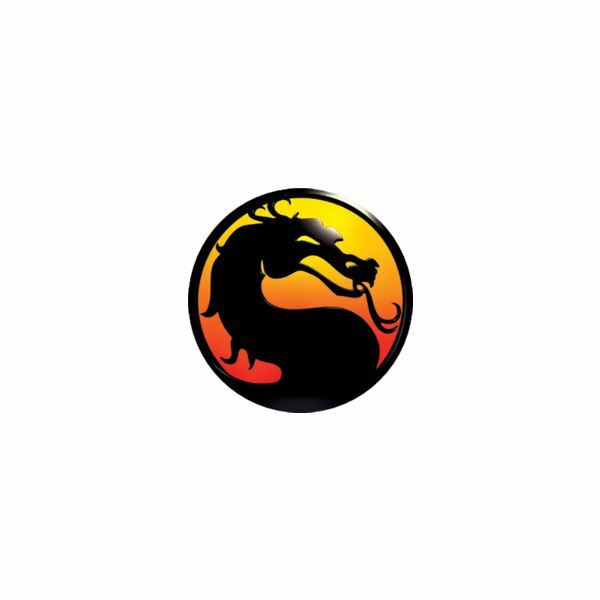 Read about that and more in the History of Mortal Kombat. These are the cheat codes that you can use for Mortal Kombat: Armageddon using a GameCube controller. These will only work on a GameCube controller. You will choose the question mark in the crypt and then enter the crypt, pressing the L button four times on the controller. This allows you to put in the specific cheat codes you want to activate. So what do these cheat codes get you? The answer is just about anything. You can unlock alternate costumes for every character. You can unlock new arenas to fight in. You can unlock fantastic concept art from the making of the game. You can even unlock movies made with the game assets, like a blooper reel! All this and more, below. As mentioned before, these codes can only be entered with the GameCube controller attached to your Wii. Want codes that you can input with the Wiimote? Head over to our related article here to find them out. Or maybe you're at the wrong article somehow, and want to get the same cheats but for the Playstation 2? Well you're in luck, we have a guide for that too! 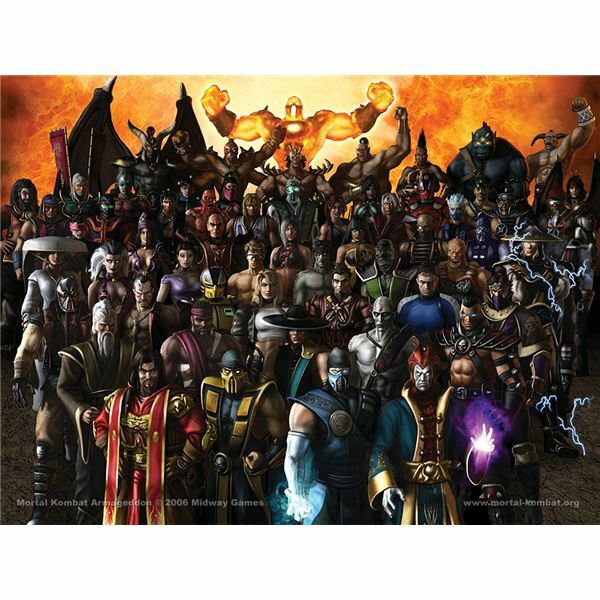 Just head over and check out our guide to Mortal Kombat Cheats for PS2! Without further stalling, here are all the GameCube controller cheats for Mortal Kombat Armageddon! Drahmin’s Alt. Costume – Left, Right, A, Right, Up, and Up. Frost Alt. Costume – Down, Z, Right, Left, X, and Left. Nitara Alt. Costume – Down, Left, Up, Left, Left, and Right. Shang TsungAlt. Costume – Left, Left, Up, X, Up, and Left. There you have it! That's pretty much all there is to unlock via cheat code in Mortal Kombat: Armageddon. You might be thinking that it's not all that much, and you're probably right. After all, it's just unlocking the stuff you'd get in the crypt anyways, isn't it? While that may be true, that doesn't mean it's not worth unlocking. Concept art is a neat look into the design process for any game, and MK is no exception. Plus you can unlock costumes to make your fighting experience more colorful or interesting. There's also the few extra characters to unlock, which is probably the biggest reason to cheat as it is. Fighting your way to their unlocks can be a tedious process, and sometimes you just want to fight with someone new without putting hours into getting them. Between a little playing the game and these cheats, you're well on your way to experiencing everything the game has to offer!